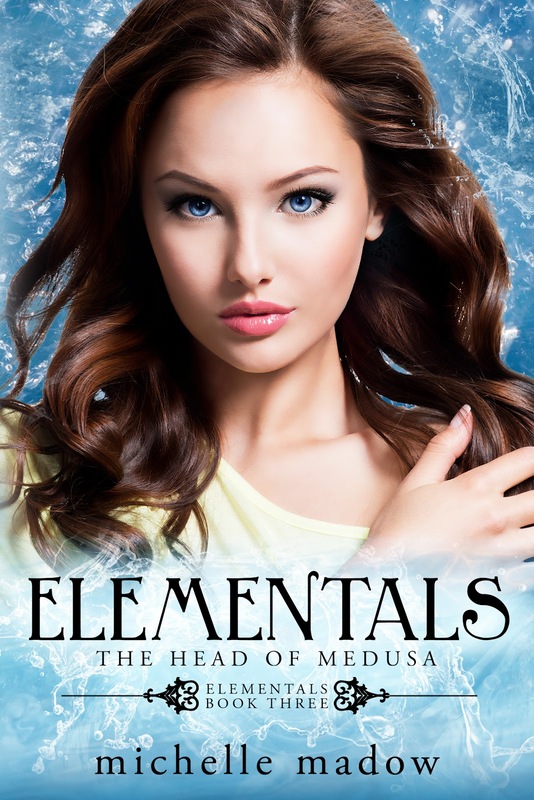 Filled with magic, thrilling adventure, and sweet romance, Elementals 3: The Head of Medusa is the latest installment in Michelle Madow’s exciting Elementals series. Follow Nicole and her fellow Elementals as they journey to the end of the world, unsure of who to trust, and facing choices that will put their lives and the entire world at risk. Will they all survive the mission? And if they don’t, will the ones who do be able to find the strength to continue? The epic story of witches, gods, and monsters that USA Today called a "must read" continues in the third book of the Elementals series! Now her relationship with Blake -- the fire Elemental -- is finally heating up. But she must remain focused, because Typhon, one of the deadliest creatures in history, has escaped from the weakening prison world. Only one object can destroy him -- the head of Medusa herself. The Head of Medusa by Michelle Madow is the 3rd book in the Elementals series and just like the previous two books, this one has kept the pace going! Typhon's soul has escaped from Kerberos and the only thing that could stop him was Medusa. And in order to get Medusa's head, the Elementals needed the Golden Sword of Athena. And where is the Golden Sword of Athena? It's being guarded by Chione the snow goddess. Towards the end of the book, something quite shocking happened and there is a major cliffhanger that left me wishing I could get my hands on the next book, The Portal to Kerberos now!